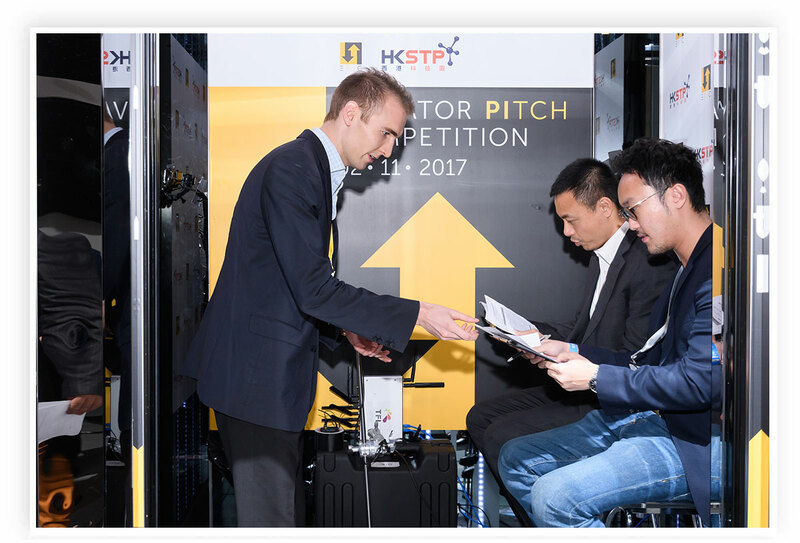 DYXnet Group Founder and CEO Lap Man was one of 20 judges assessing ideas as part of the Elevator Pitch Competition 2017 in Hong Kong’s tallest building – the International Commerce Centre (ICC). 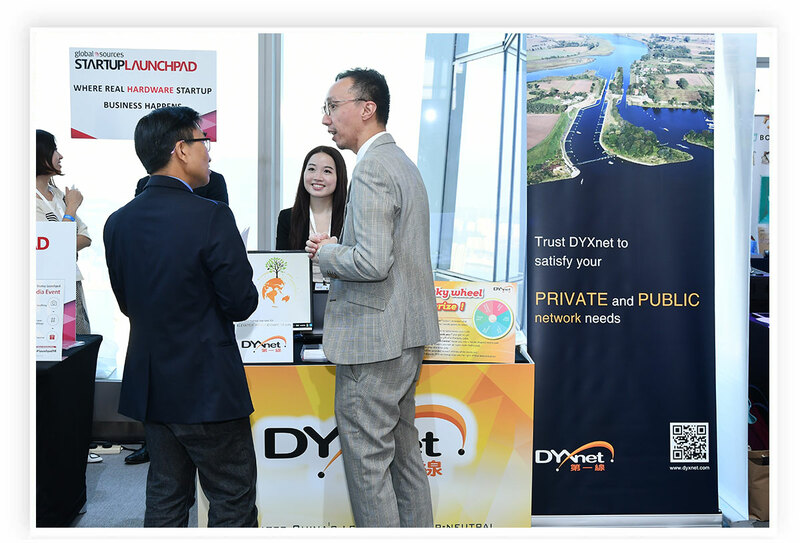 This was the second consecutive year of Hong Kong’s role as competition host and DYXnet Group taking on platinum sponsorship of the event, which was organised by the Hong Kong Science and Technology Parks Corporation (HKSTP). The “elevator pitch” is based on the notion someone should be able to talk through the important elements of a business idea in the short time it takes to ride an elevator. Panelists and judges pose for the camera. DYXnet Group Founder and CEO Lap Man can be found front row, fourth from left. This year’s competition saw each of some 100 entrepreneurs from all the world giving a 60-second pitch on why their business idea was worth funding – all while inside an elevator serving the ICC. A contestant delivers a 60-second pitch on why his start-up is worthy of funding – all while inside an ICC elevator. 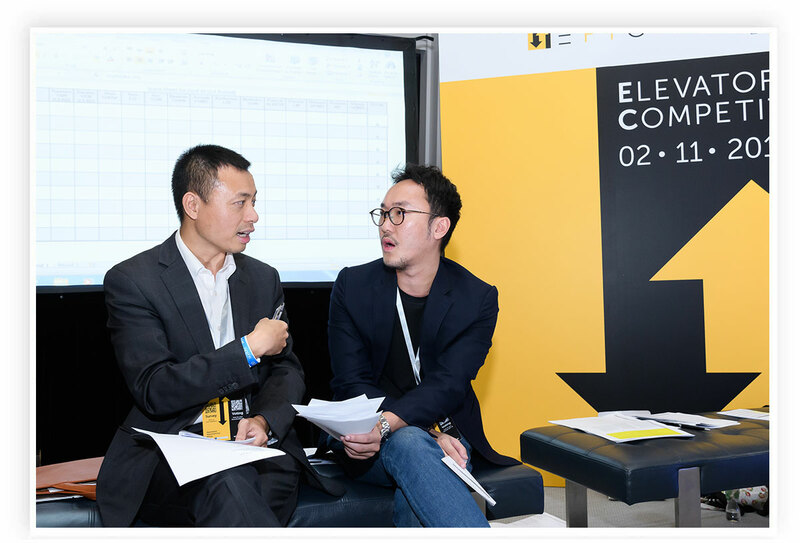 Lap Man and fellow judge Ben Lo (right), Executive Director of FC Packaging Holding Limited, discuss the shortlist of finalists. 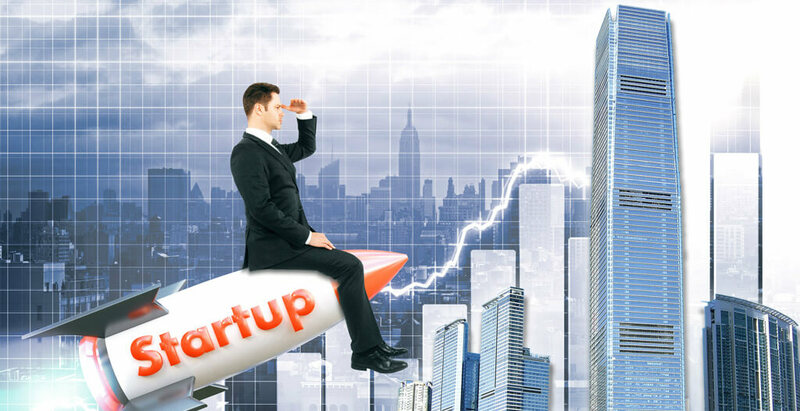 Hosting and sponsoring the competition is viewed as a powerful way of underscoring Hong Kong’s position as one of the world’s hottest start-up launch pads. Cathay Photonics Limited wins the grand prize of US$140,000 funding plus a cash prize of US$20,000 – two great reasons for organisers and judges to smile at the camera! In addition, the five-hour event included an “Angel x Angel” conference at which Lap Man served as a panel speaker in the “Zero to One” session. He discussed roles played by industrialists, financial institutions, venture capitalists and serial entrepreneurs when helping technology start-ups get their ideas off the ground. Lap Man (second from right) was one of the speakers during the “Zero to One” panel discussion. 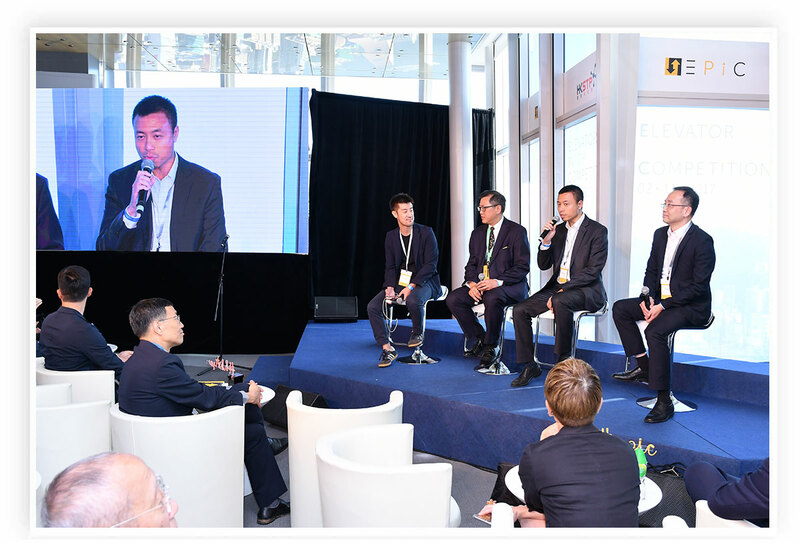 Fellow orators represented Avnet Asia Pacific, The Hongkong and Shanghai Banking Corporation Limited and moderator from Zeroth. 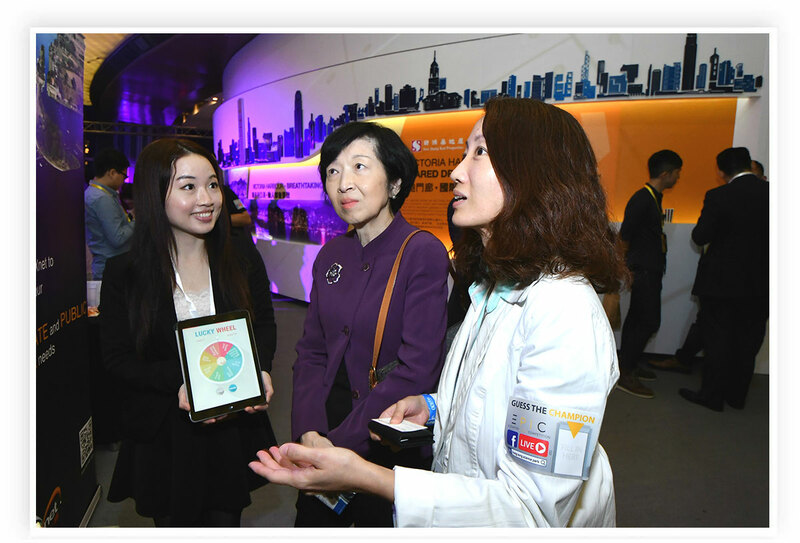 Fanny Law Fan Chiu-fun (centre), GBM, GBS, JP, Chairperson of the Hong Kong Science and Technology Parks Corporation, hears from Floria Chan (right), DYXnet Group’s Marketing & Corporate Communications Group Director. Our booth’s “Lucky Wheel” game delights visitors. His reference was to Prenetics Limited, Southeast Asia’s leading genetics-focused digital health player. It was the beneficiary of a US$40 million investment move in October led by Hong Kong-based venture capital fund Beyond Ventures and the Alibaba Hong Kong Entrepreneurs Fund. 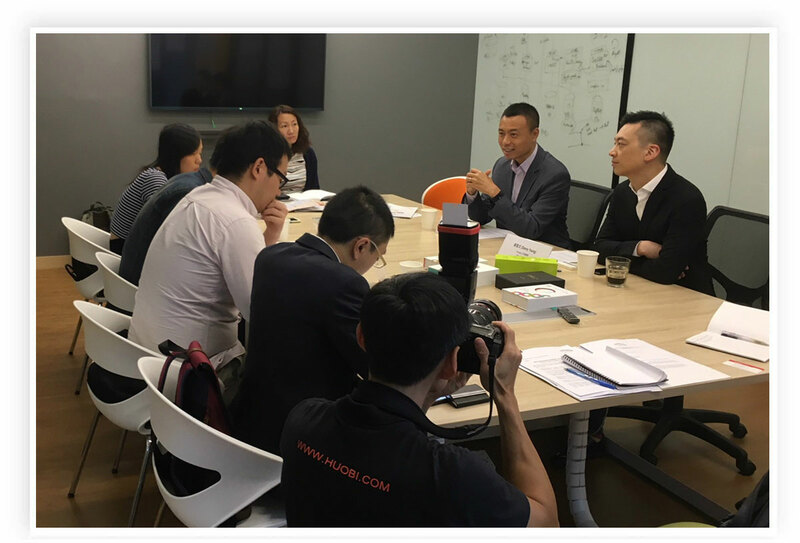 Lap Man and Prenetics CEO Danny Yeung (right) tell journalists how the company is set to improve health care for millions of people worldwide. 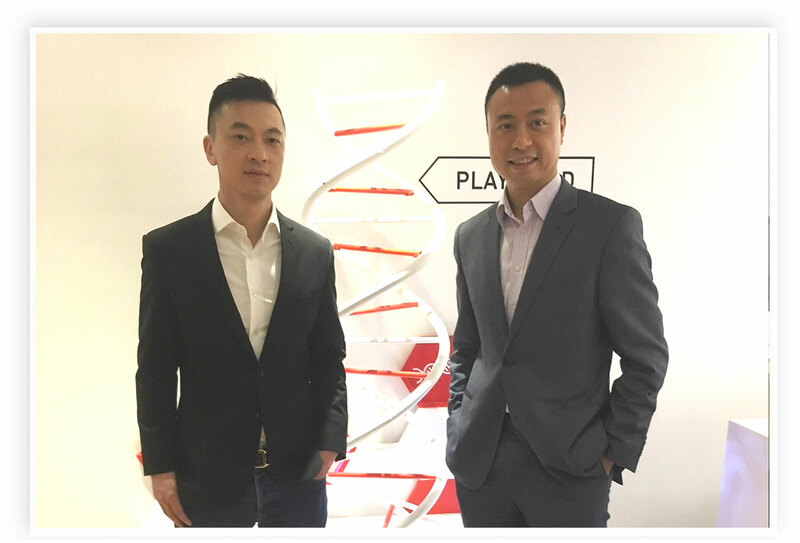 Lap Man (right) and Prenetics CEO Danny Yeung pose for the camera. Lap Man is Co-Founder and Managing Partner of Beyond Ventures, which he has described as a force to revitalise Hong Kong’s ecosystem of innovation by helping start-ups go global and maximise their potential. This year’s Elevator Pitch Competition was designed to promote collaboration between start-up teams globally. 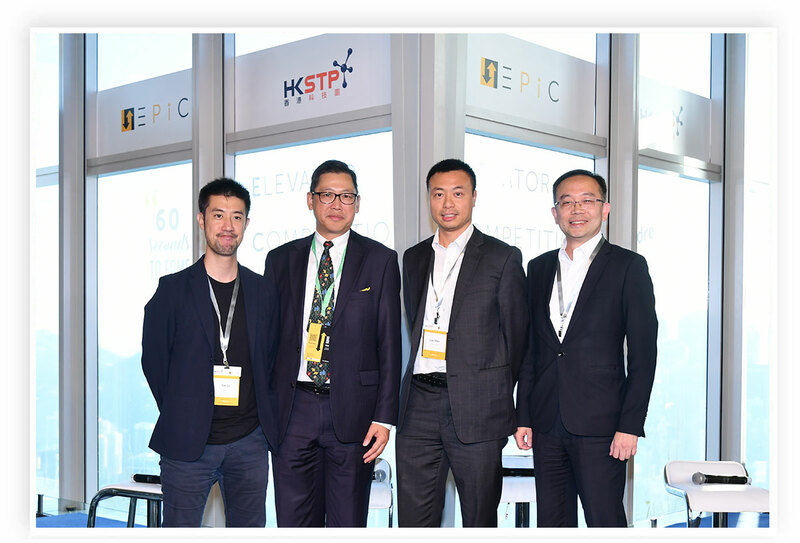 HKSTP invited entrants from the world’s top-20 entrepreneurial cities to attend workshops and other activities alongside local teams. They were also able to acquaint themselves with Hong Kong and Shenzhen and assess opportunities. 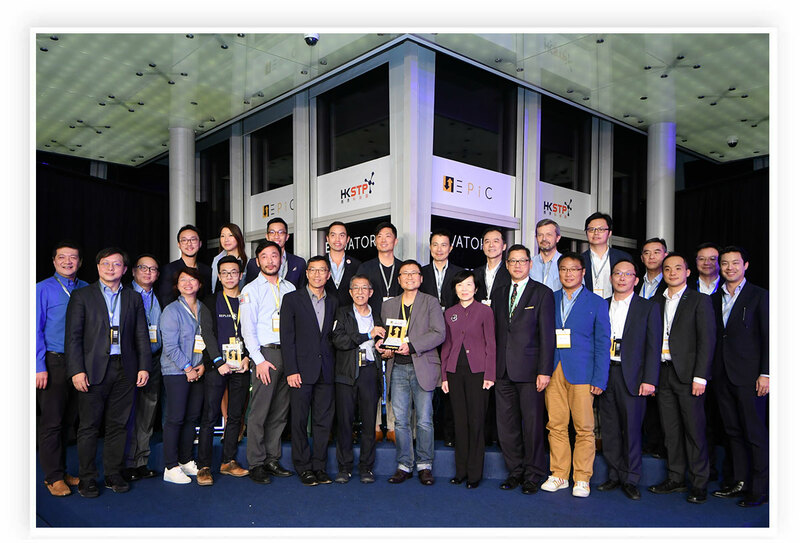 The competition was open to start-ups of less than five years’ standing, as well as individuals who had received less than US$10 million investment funding, or those focusing on specific areas of technology.